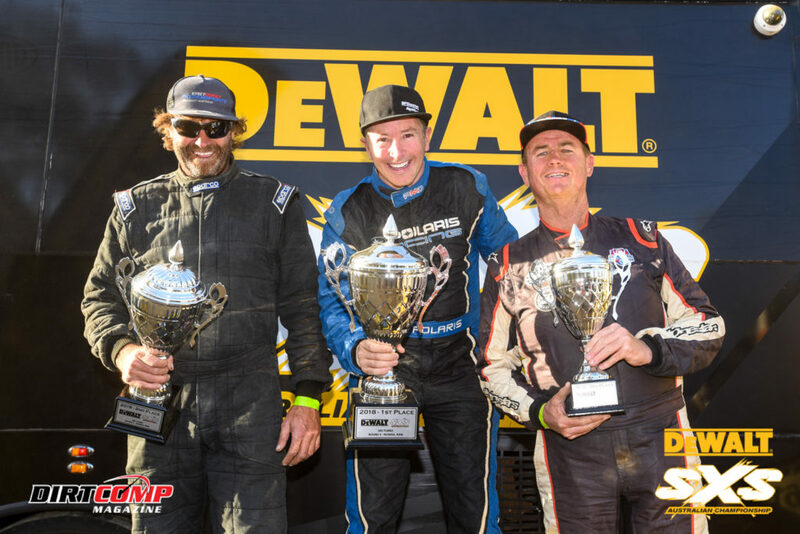 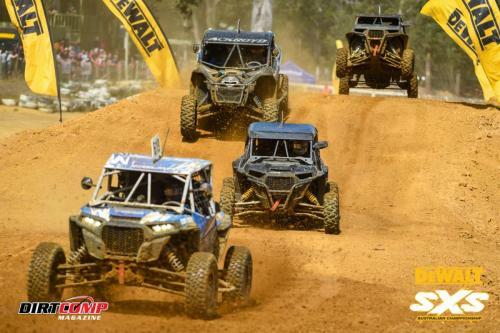 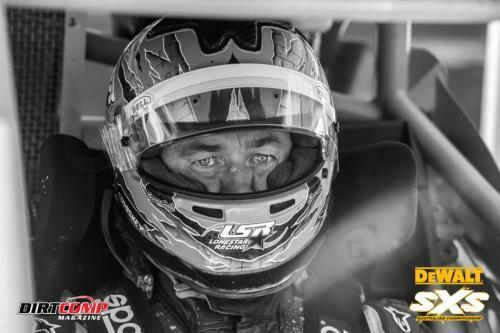 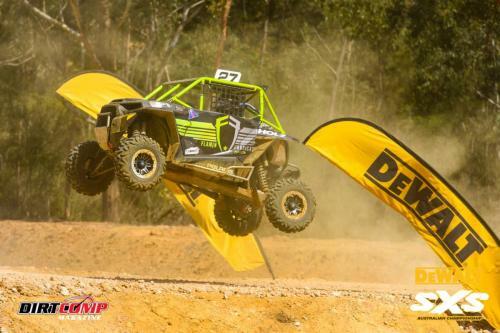 Cody Crocker returned to the winners circle for Polaris at round 5 of the DEWALT SXS Australian Championship held at the Nowra Motoplex, south of Sydney on the weekend. 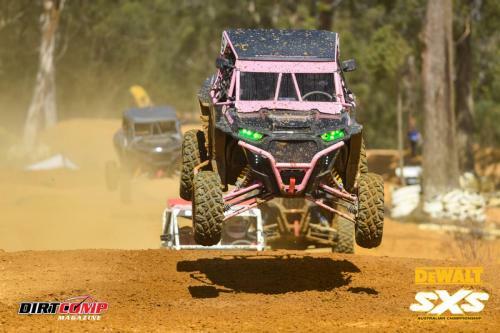 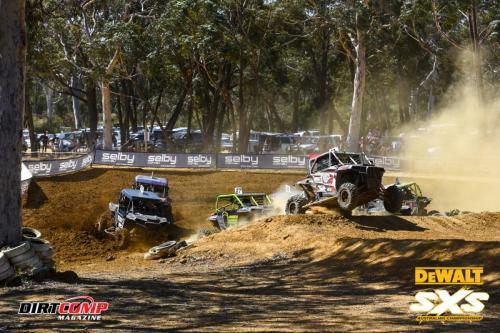 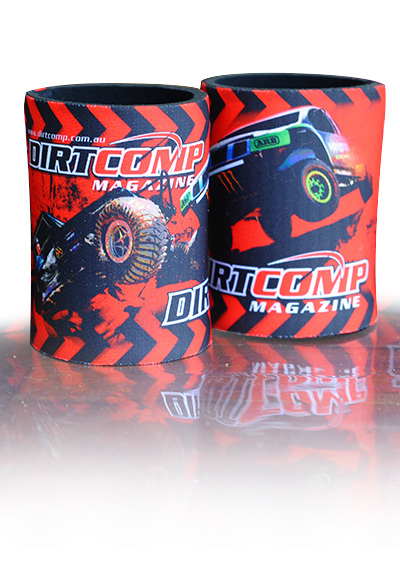 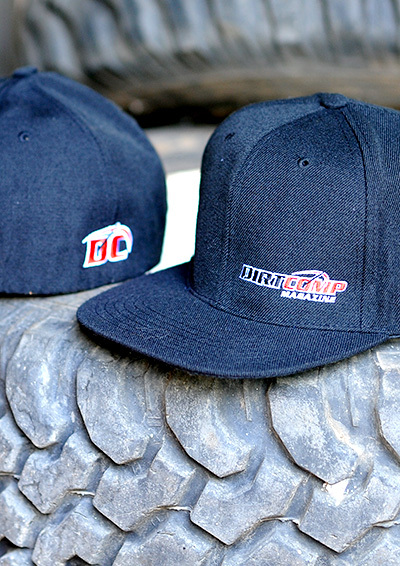 A new addition to the championship in 2018, Nowra served up a high energy track peppered with big table top jumps and tight switchbacks. 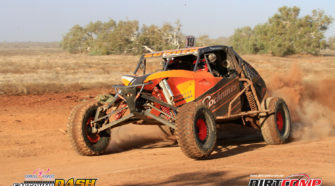 Crocker quickly settled into the groove during the five heats, picking up two wins before finishing second in his semi-final. 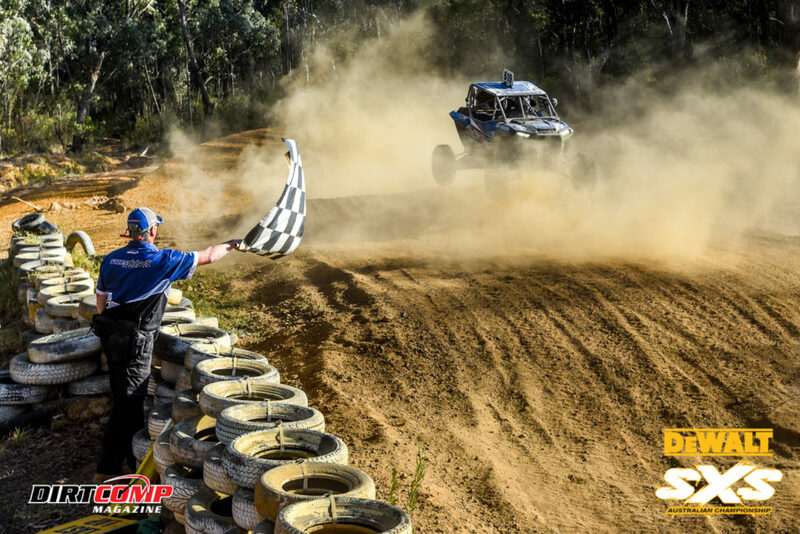 Crocker and Henry went toe to toe in the grand final, with Henry greeting the chequered flag first with Crocker hot on his heels. 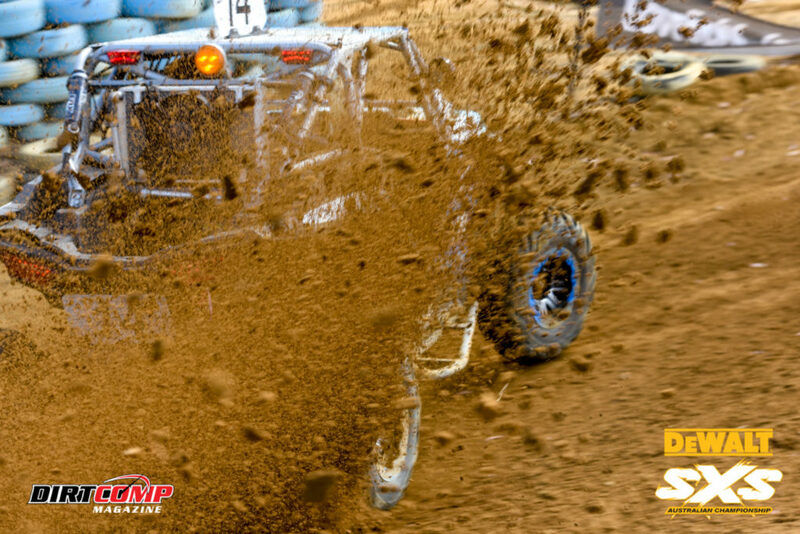 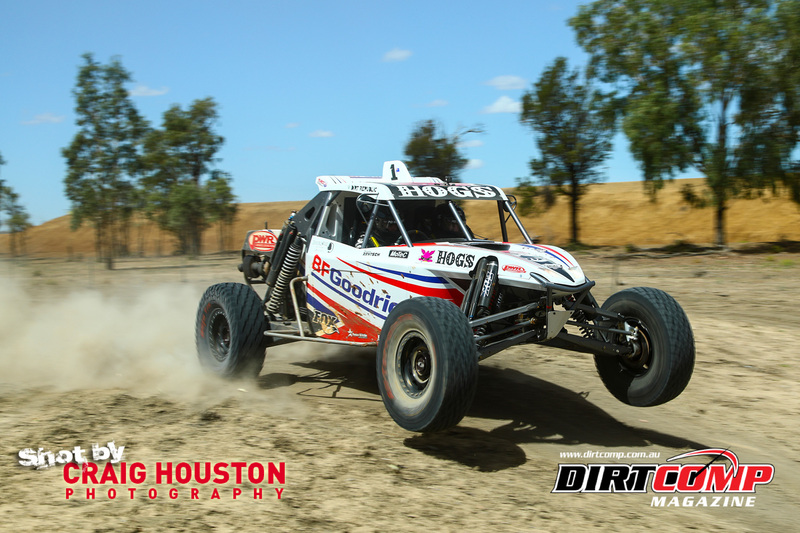 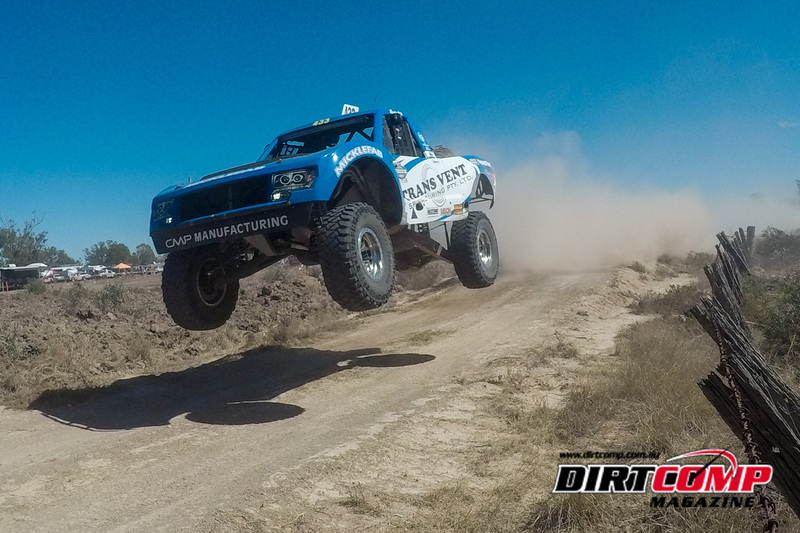 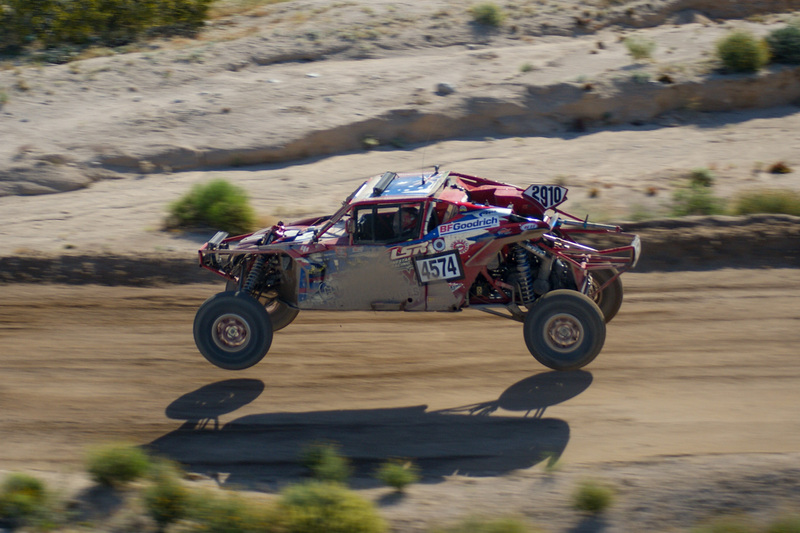 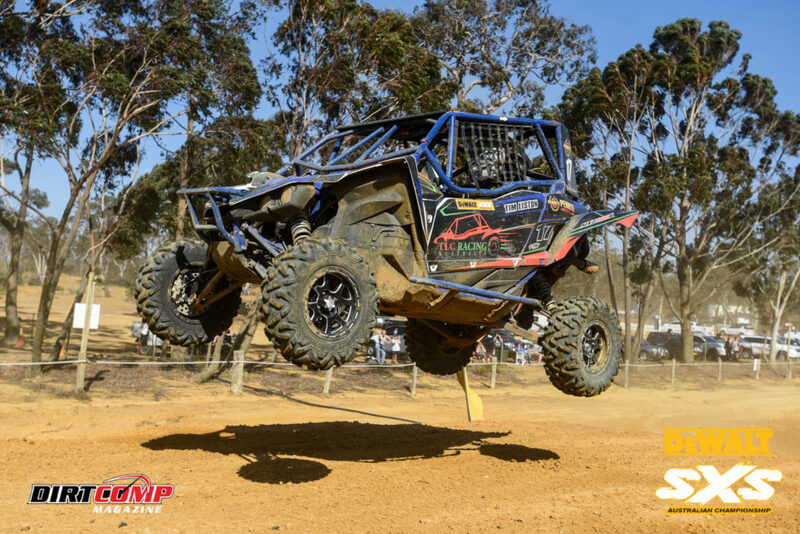 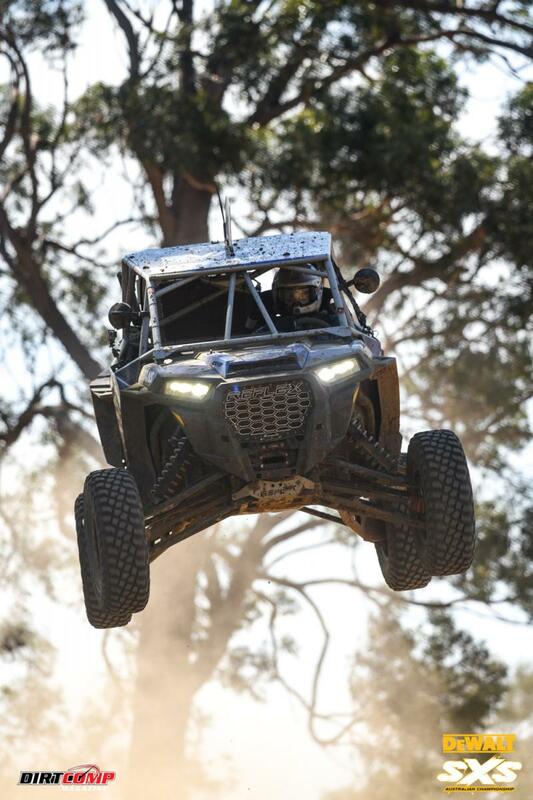 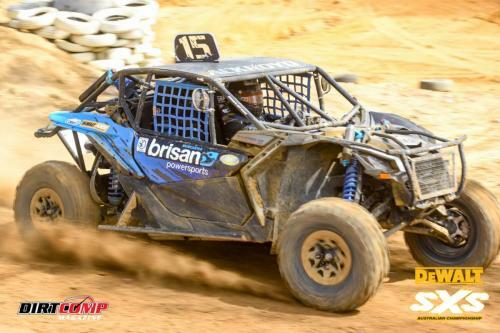 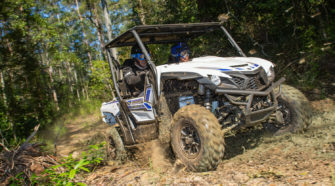 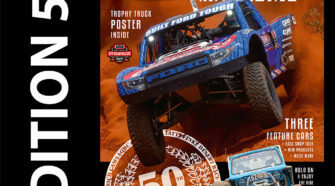 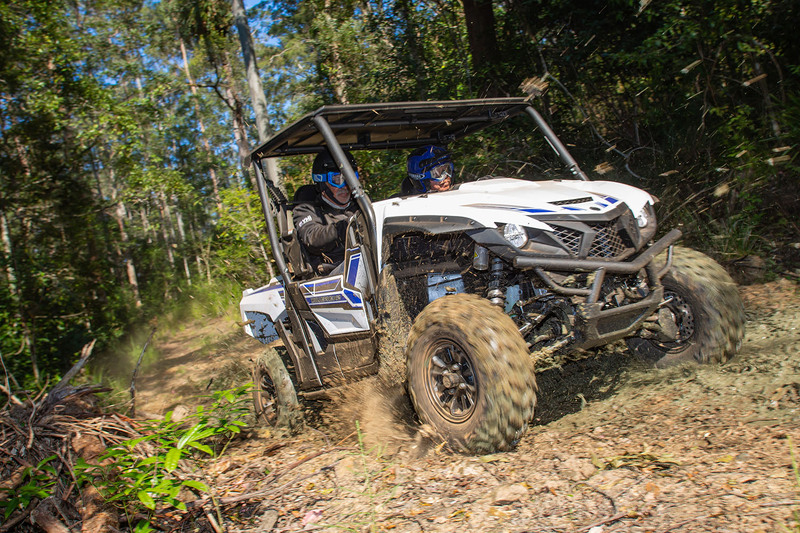 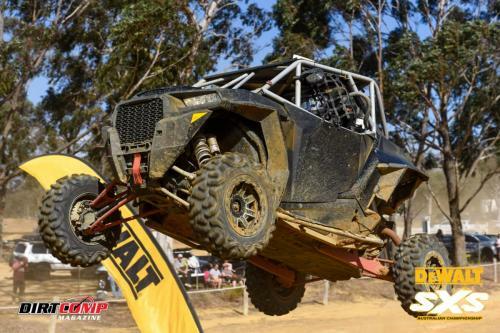 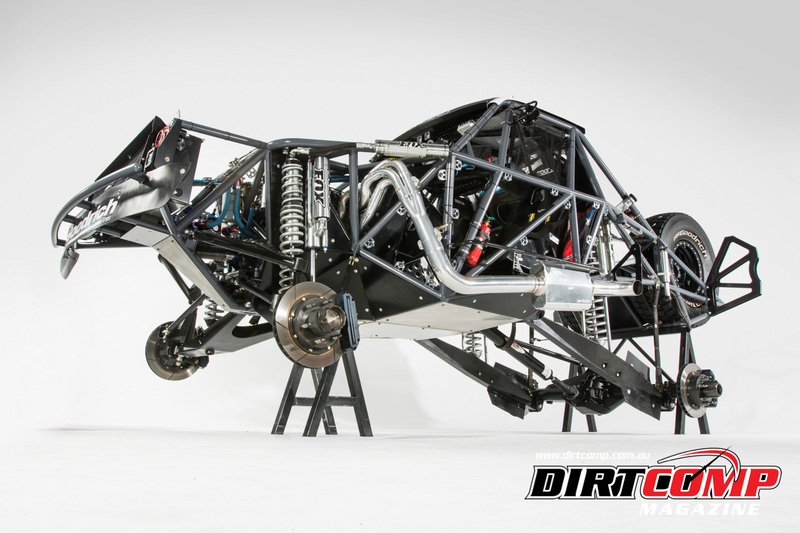 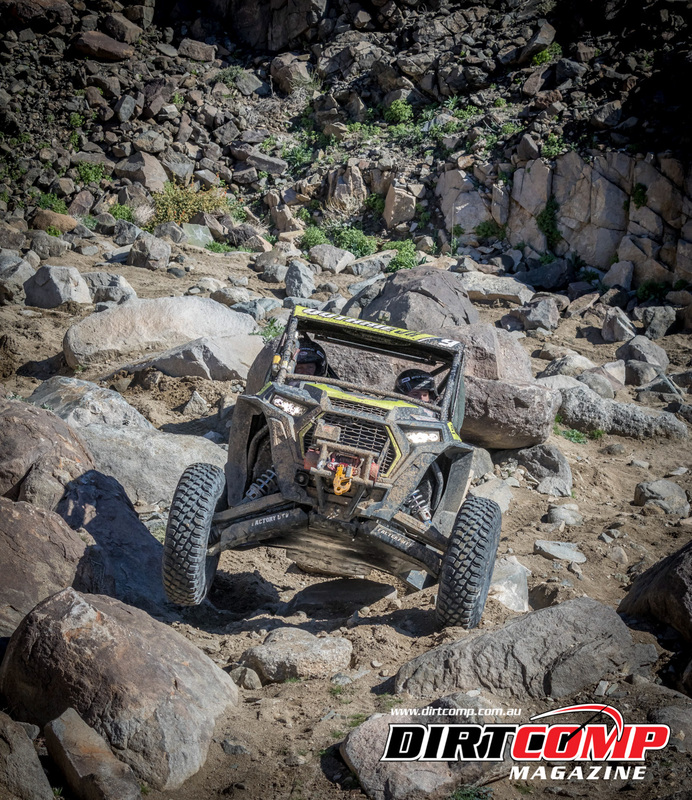 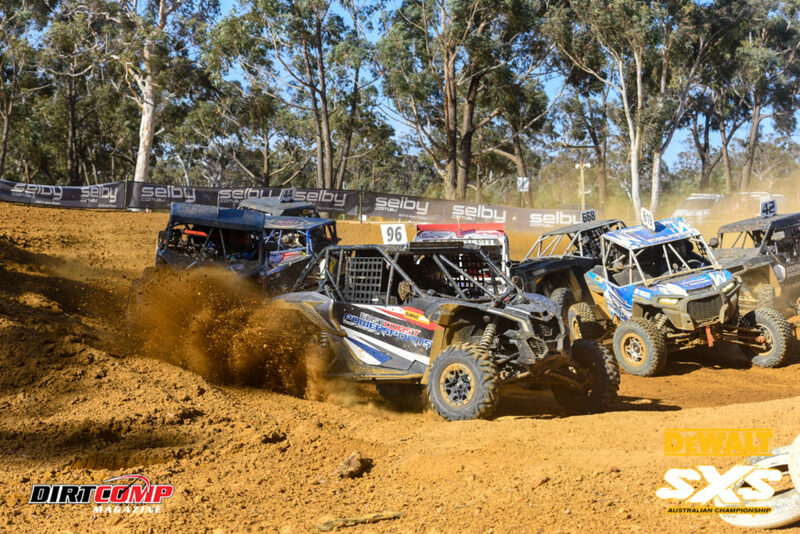 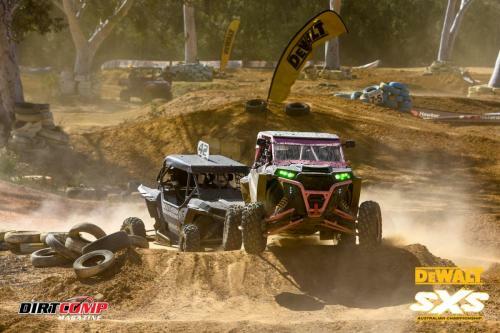 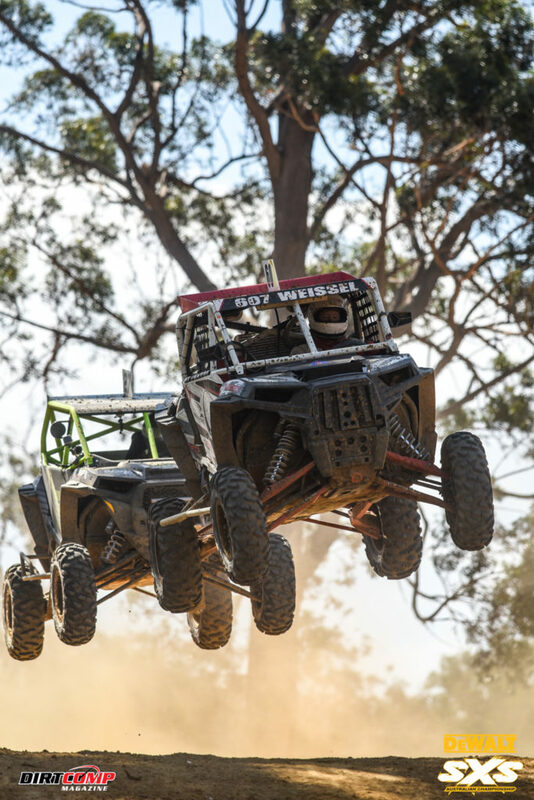 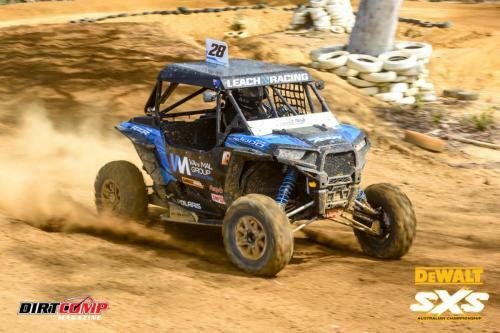 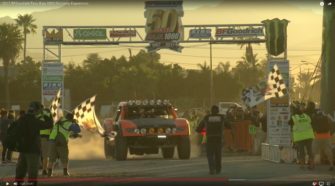 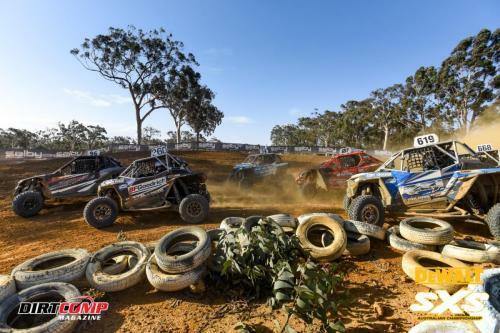 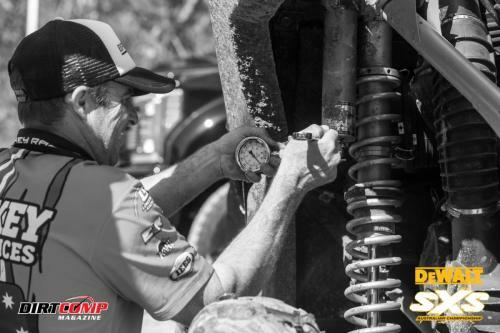 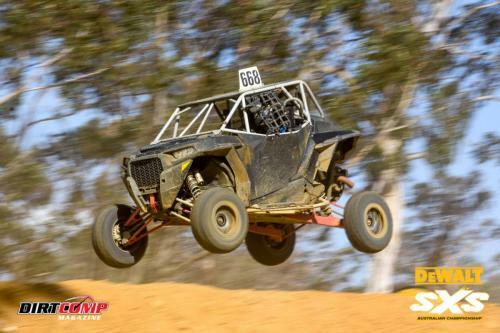 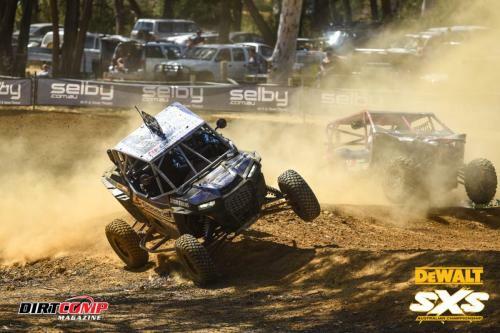 However Henry received a ten second penalty for jumping the start, handing the outright win and SXS Turbo Class victory to Cody Crocker in his #619 Polaris RZR Turbo. 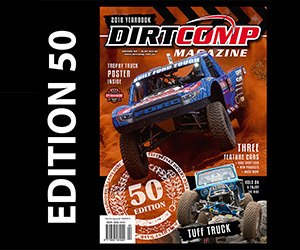 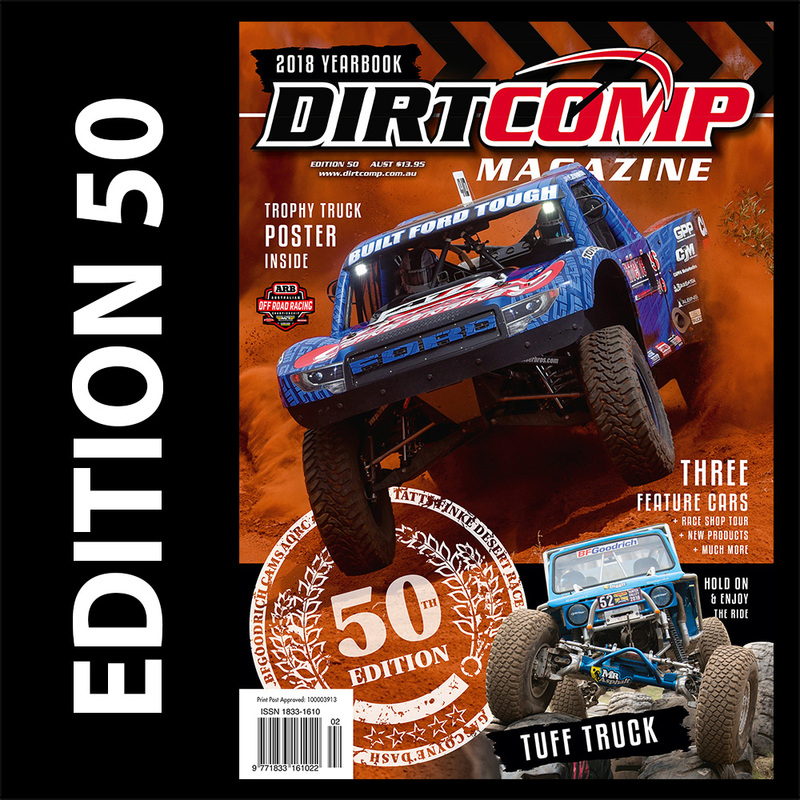 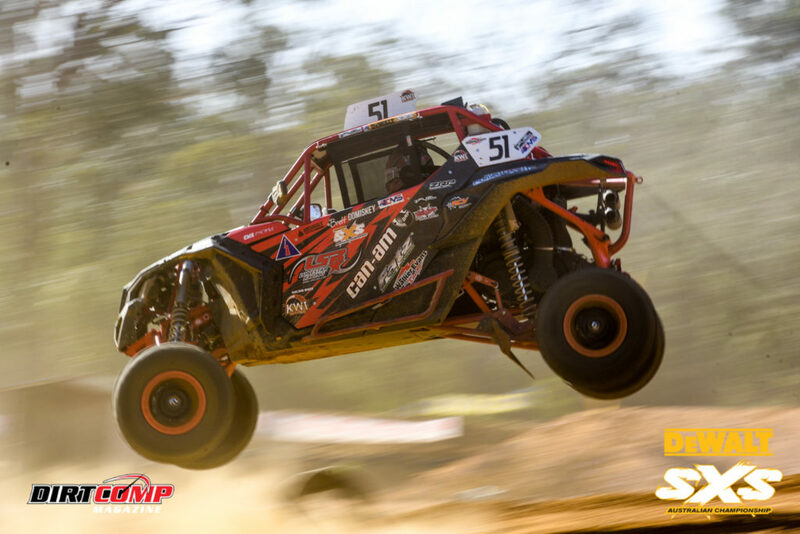 Despite the penalty Steven Henry remained on the podium to secure second outright in the #96 CanAm Maverick X3 ahead of Brett Comiskey who held off a hard charging Ewan McClue to round out the podium in third outright in his #51 CanAm. 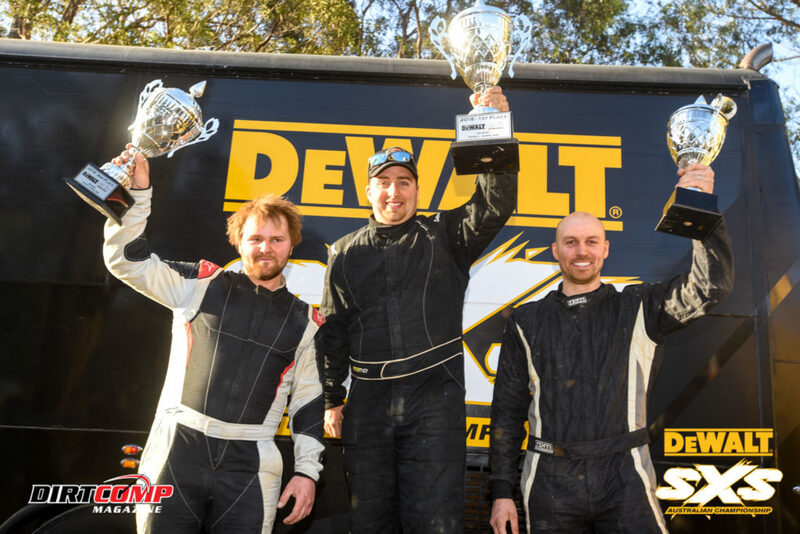 Henry, Crocker and Comiskey celebrating the SXS Turbo Class and Outright Podium. 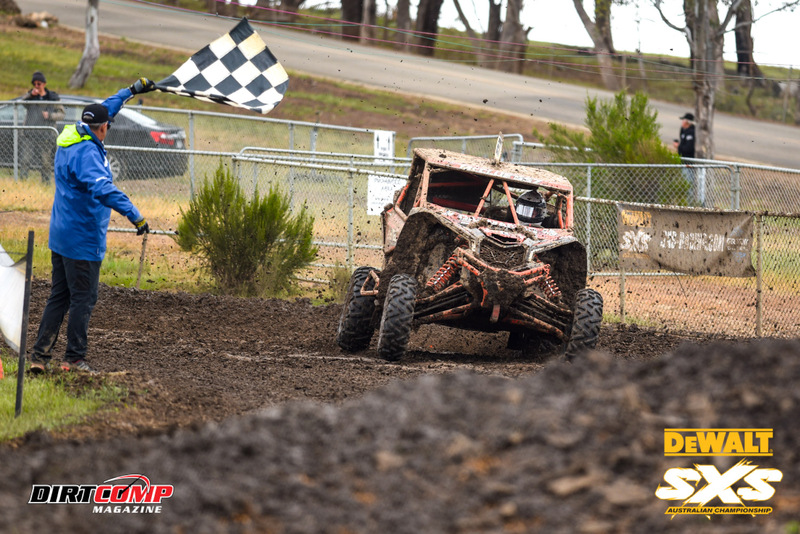 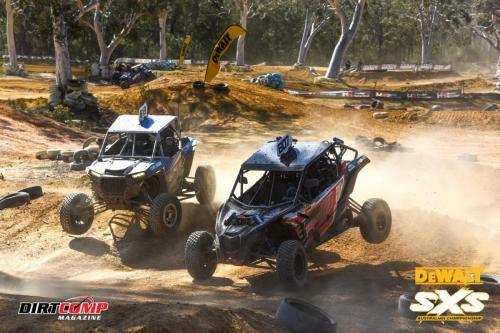 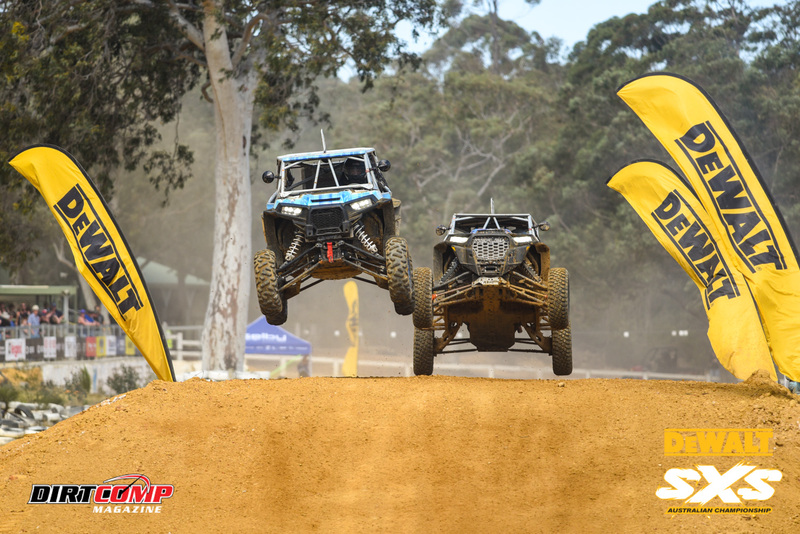 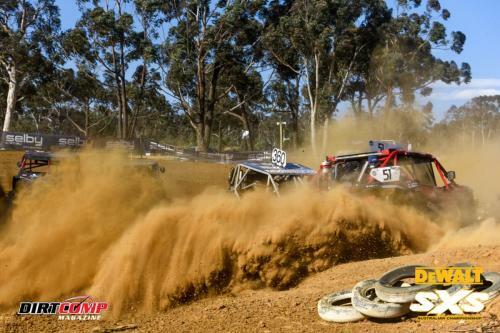 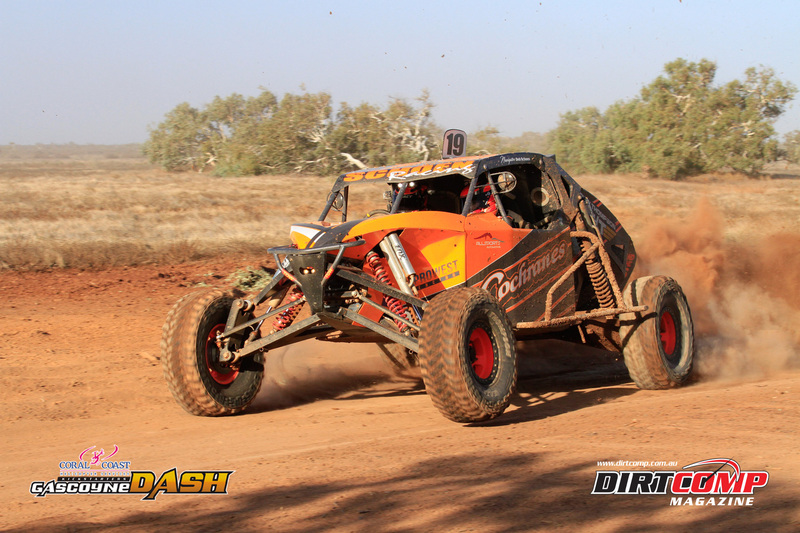 During the heats #42 Mitch Keyte and #12 Andrew Robertson held the upper hand in the SXS Sport Class. 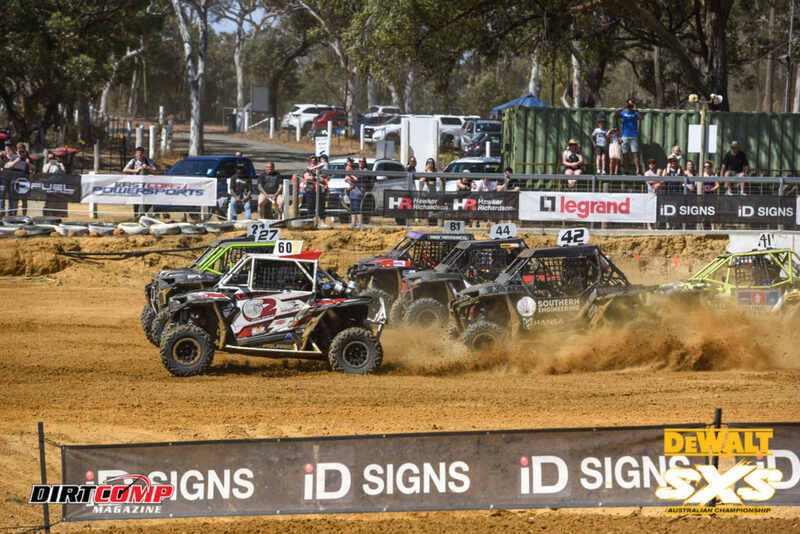 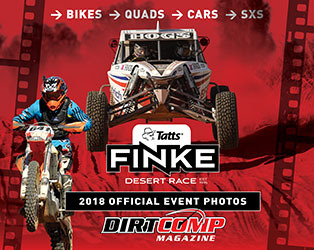 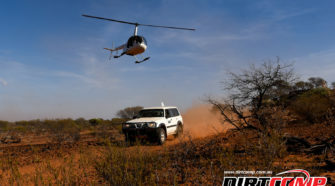 However when the semi finals rolled around it was #17 Tim Liston in his Yamaha YXZ1000R who played his cards carefully, to land a place in the grand final where he finished 5th outright, rewarding him with the Class win. 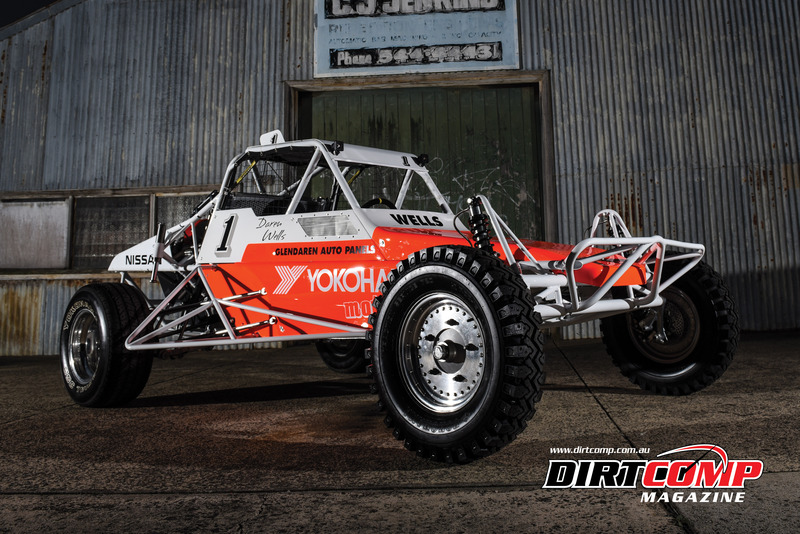 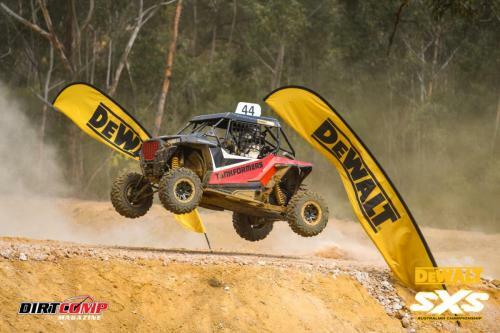 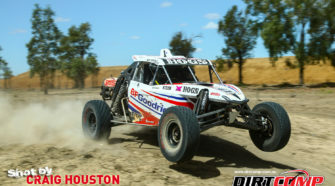 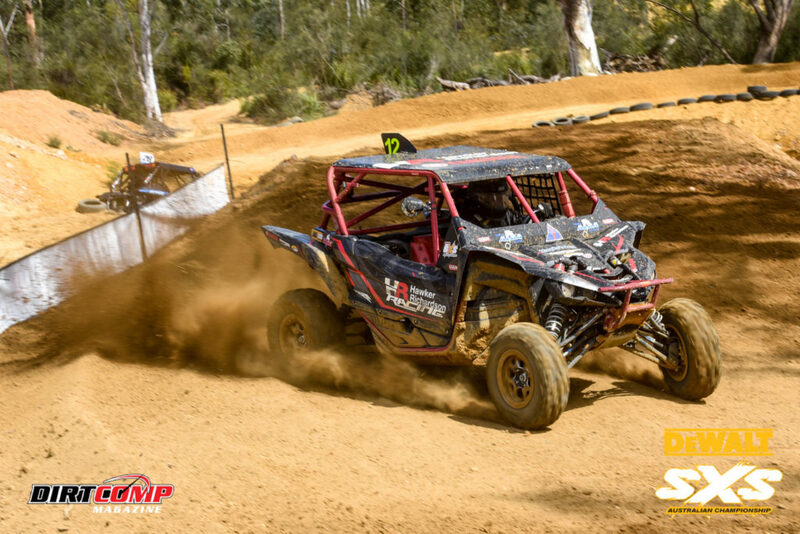 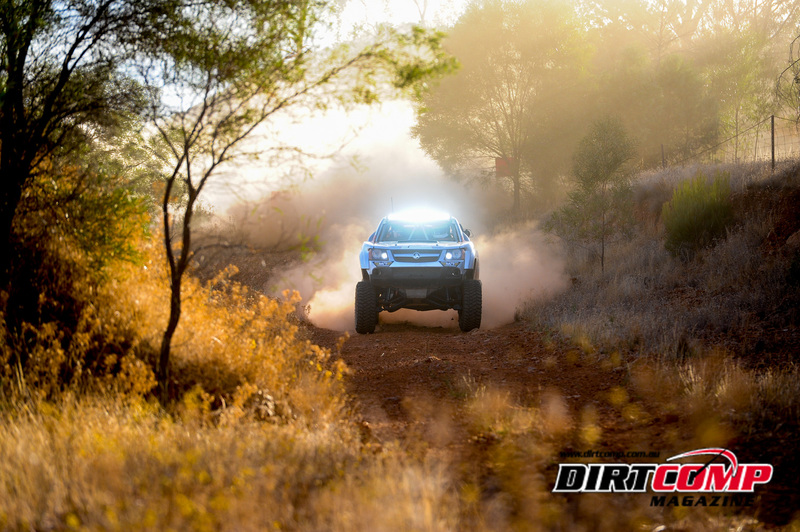 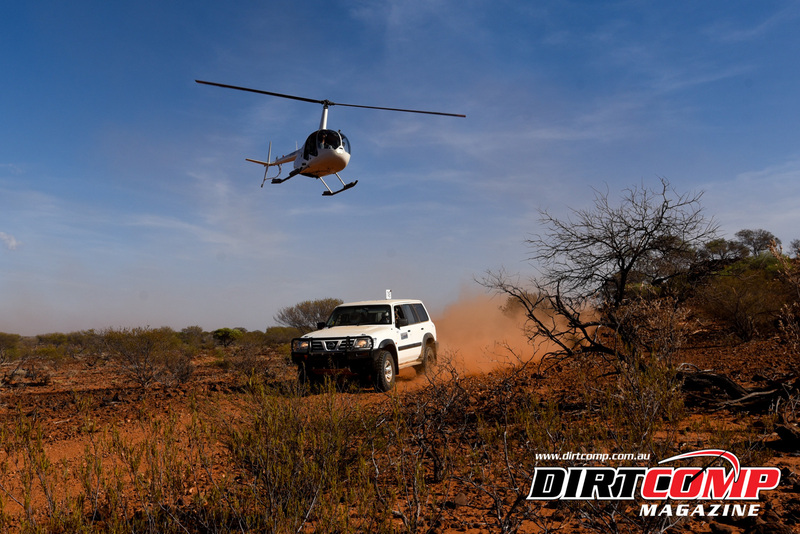 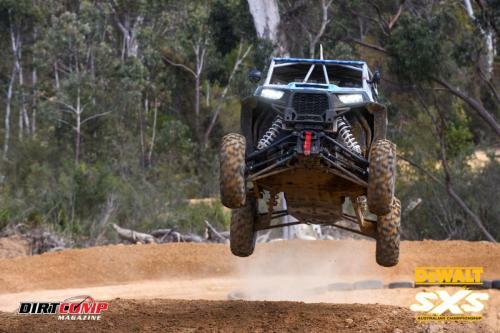 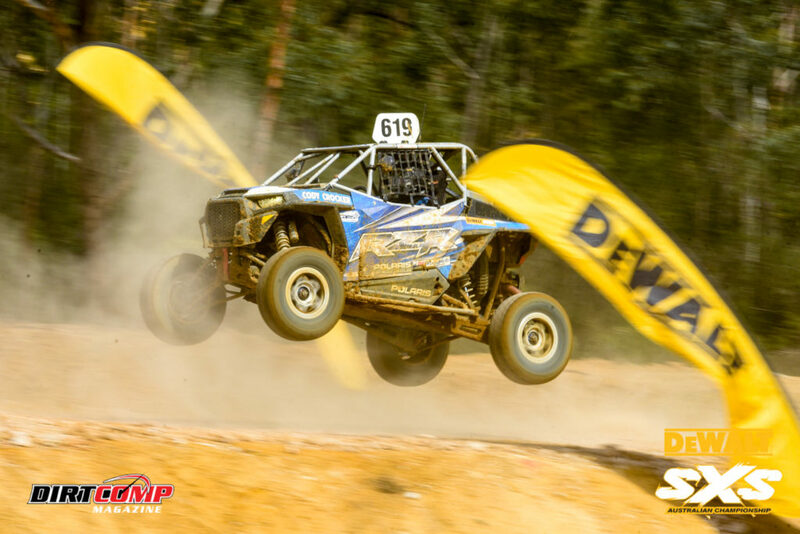 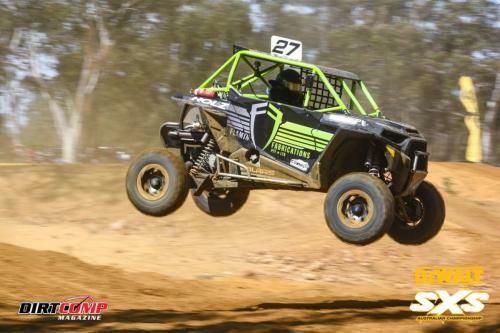 Second in class was #42 Mitch Keyte who backed up his SXS Sport Class win in Queensland. 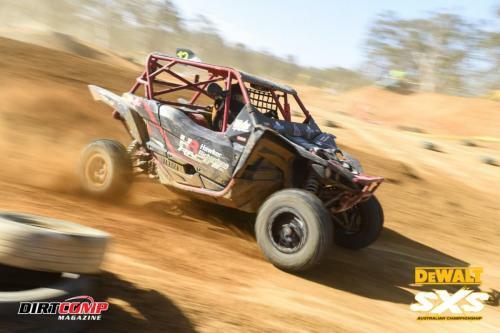 While another Yamaha YXZ, #12 Andrew Robertson rounded out the podium in third. 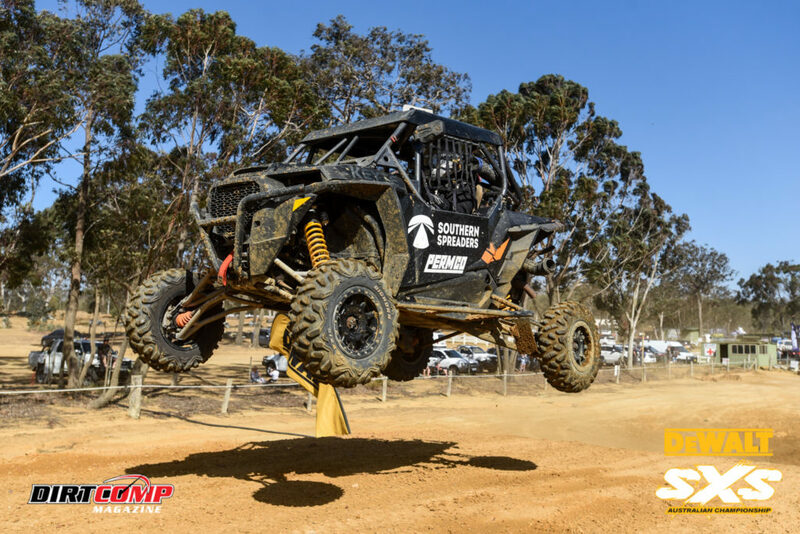 #14 Tadamitsu Niihori, #360 Simon Evans, #60 Nathan Weissel and #668 Ivan Skutz all put on spectacular aerial displays, jumping from ramp to ramp on the huge tabletops down the back straight. 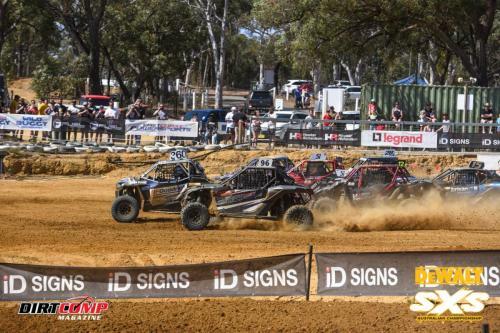 Picking up three heat wins apiece, Niihori and Evans were both in the hunt for the outright win heading into the final, however their charges were both cut short. 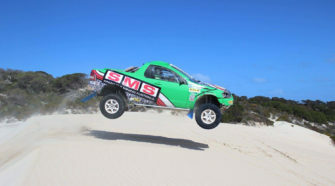 Crocker landed on the rear of Niihori damaging his rear suspension, while Evans was forced to retire with a broken ball joint.